Going Green?- Sustainable Eco friendly Travel to Seaview B and B by Train or Bus and enjoy the scenery! The Isle of Mull, the Hebridean Island that has everything the other hebridean islands have and more,- that is Spiritual Iona with its Sacred Abbey and spectacular Isle of Staffa! The complete Hebridean Experience! We are keen for visitors to the Isle of Mull to use public transport and to reduce their carbon footprint on this beautiful island. We are so committed to this in fact, that we will offer a 5% discount on our B&B standard rate (for stays of 1-2 nights) to all guests who travel to us from their homes to us here at Seaview using the train, bus, cycle or on foot. All you need to do to claim the discount is let us know at the time of booking how you intend to travel, produce valid train & bus tickets when you arrive and we will do the rest. For guests travelling in from abroad we offer the same incentive from the point of arrival by plane in the UK. The West Coast Railway is perhaps one of the most beautiful train journey's in Britain. The train journey takes approximately 3 hours from Glasgow's Queen Street Station passing along Loch Long and Loch Lomond before climbing into the mountains, where at the tiny village of Crianlarich, the train splits - half moving north to Fort William and on to Mallaig for access to the Isle of Skye, while the other half travels west to Oban for access to the Isle of Mull and the rest of the Hebridean Islands. If travelling by public transport, it is important when planning your journey to try and synchronize your arrival and departure times with the ferries etc. Freedom of Scotland Travelpass: when travelling in Scotland, you can take advantage of various tourist passes across the rail and transport network. The Freedom of Scotland Travelpass gives unlimited travel on all scheduled train services within Scotland, all CalMac scheduled ferry services and various bus services operated by some of Scotland's leading bus companies. These are available from all staffed railway stations throughout Britain and rail appointed travel agents. Certain restrictions do apply so please do check them before you buy. 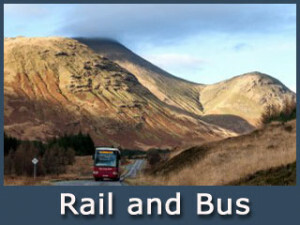 Highland Rover: this ticket gives rail travel between Glasgow Queen Street and Oban, Fort William and Mallaig; Scottish Citylink bus travel between Oban/Fort William and Inverness; rail between Inverness and Wick, Thurso, Kyle of Lochalsh, Aberdeen, Aviemore and intermediate stations. 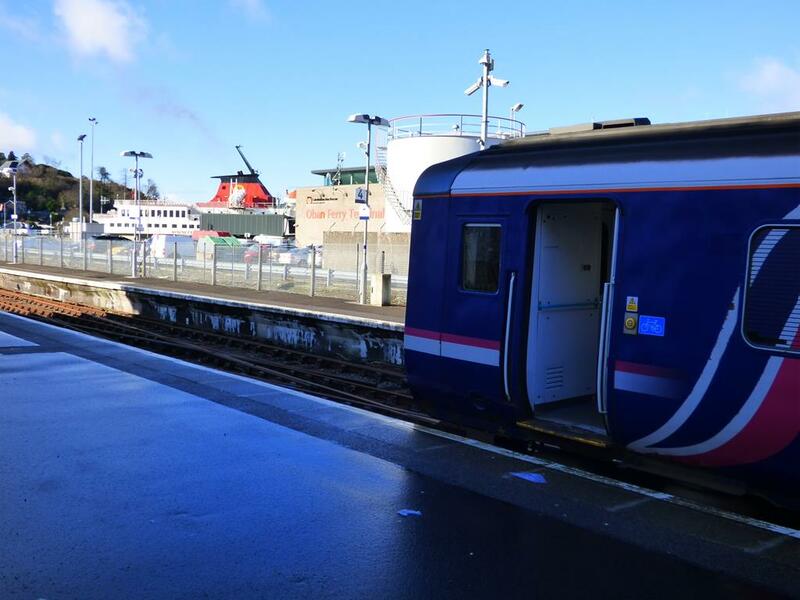 Also included is reduced rate ferry travel between Oban and Mull and Mallaig and Skye, as well as bus travel on Mull and Skye. Certain restrictions apply. 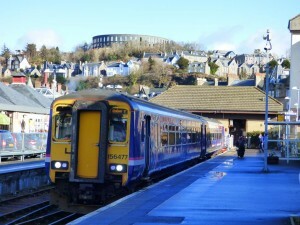 For timetables and other information about the west coast line visit the First ScotRail web site or Tel: 08457 550033. 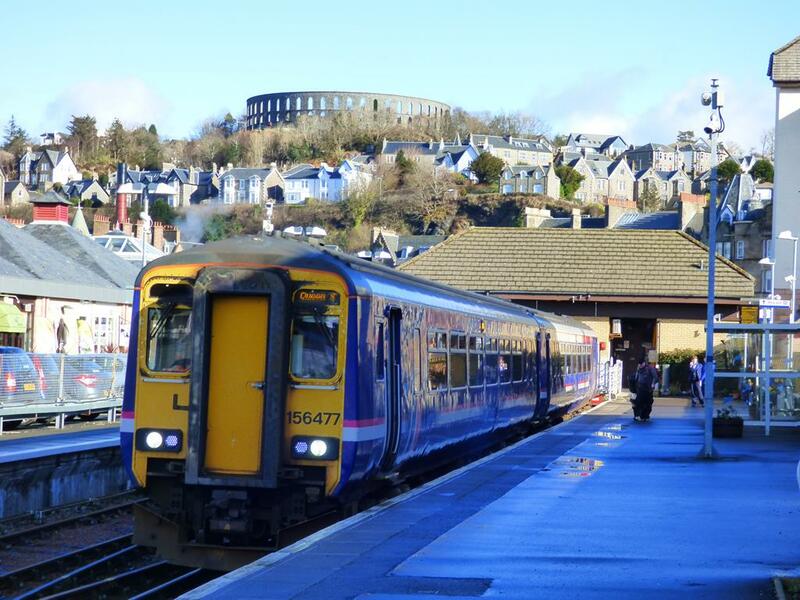 Oban Railway Station is only a couple of minutes walk from the Ferry Pier, where Caledonian MacBrayne operate ferry services to many of the Hebridean Islands, including the Isle of Mull. 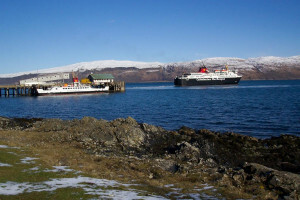 Services generally run every two hours from Oban to Craignure on Mull. 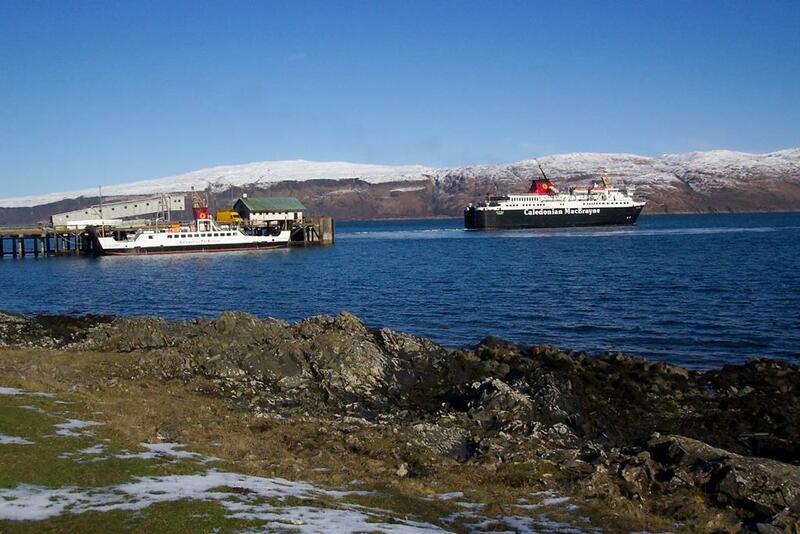 For timetables and other information visit the Caledonian MacBrayne web site by clicking here. The Isle of Mull is also accessible when travelling by bus/coach. Scottish Citylink is Scotland's largest provider of coach services linking over 200 towns and cities across the country. The Explorer Pass allows travel on any Citylink service within Scotland at anytime within the validity of the pass. 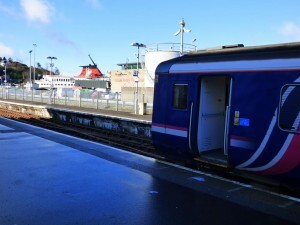 On your arrival at Craignure on the Isle of Mull, you will see the coaches (white or red) operated by West Coast Motors waiting on the left at the end of the ferry pier as you walk off the ferry. Don't be tempted to visit the Information Centre when you come off the ferry as the buses leave promptly and won't wait. 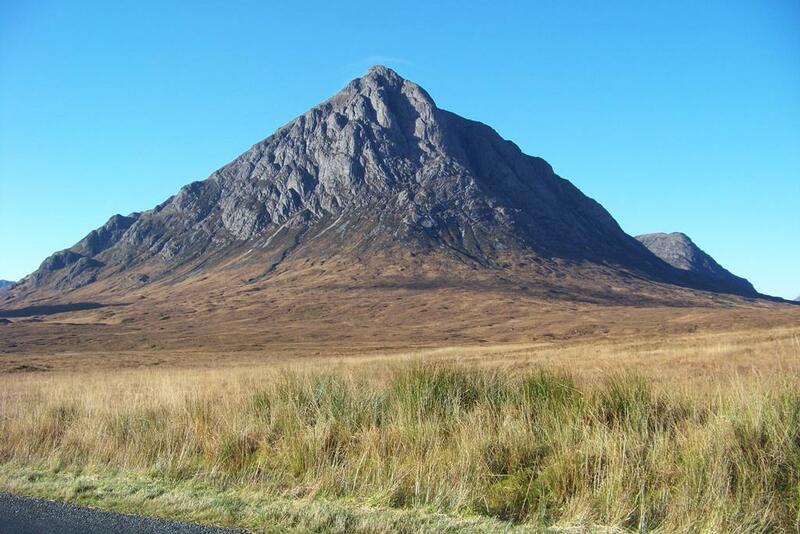 The buses run south to Fionnphort and Iona or north to Tobermory. To get to Seaview, take the bus for Fionnphort (Service 496)and enjoy the ride to the very southwest tip of the island. 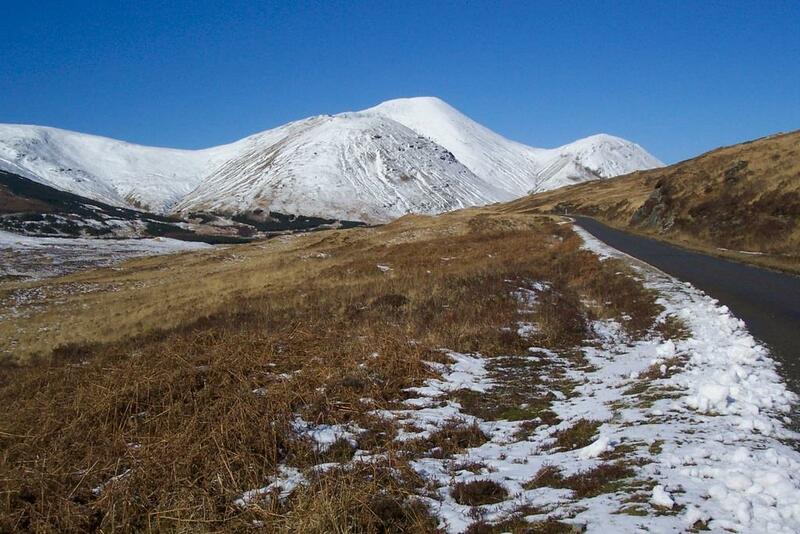 Enjoy the views and scenery as you journey around Loch Don and Loch Spelve, through the pine forests and up into Glen More. Look out for the wild deer on the hillsides and the eagles soaring up high among the peaks. As you come down through the Glen you will follow the road along the coast of Loch Scridain, which separates the Ross of Mull from the rest of the island, and if you are very lucky you may spot an otter or two playing on the rocks at low tide. Sheep and Highland cows are often seen grazing on the road side. Your journey continues along the coastline through Pennyghael where you can see the peak of Ben More (the only Munro on the island) and onwards to Bunessan and finally to Fionnphort. The journey takes approximately an hour and 10 minutes and ends at the bus terminal near the pier to where the ferry crosses for Iona. We are very easy to find as Seaview is only yards from the bus terminal - simply walk back up the road for approximately 100 yards and you will see us on your right - between The Ferry Shop and The Keel Row pub & restaurant. West Coast Motors run the services from Craignure to Fionnphort and Tobermory. Timetables are available on the web by clicking here.